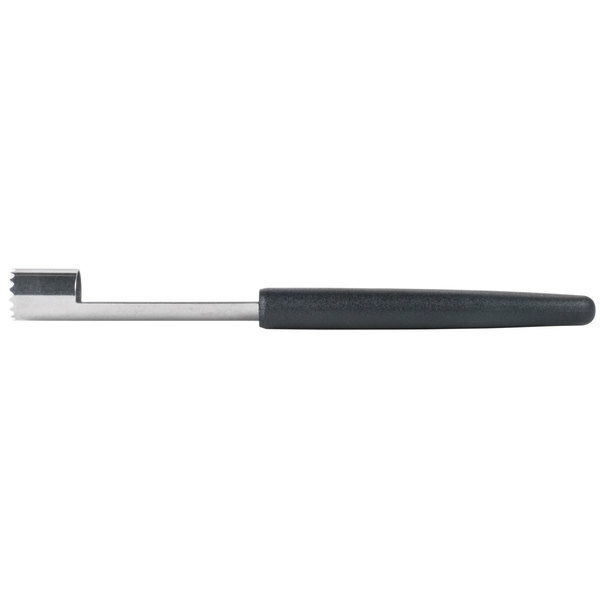 Prep your apples for cooking or baking with this Victorinox 41690 apple corer / cupcake corer with black nylon handle! This Victorinox 41690 apple corer makes quick work of coring apples, pears, and other fruits with a core. Thanks to its versatility, it can also be used to add filling to your favorite cupcakes. 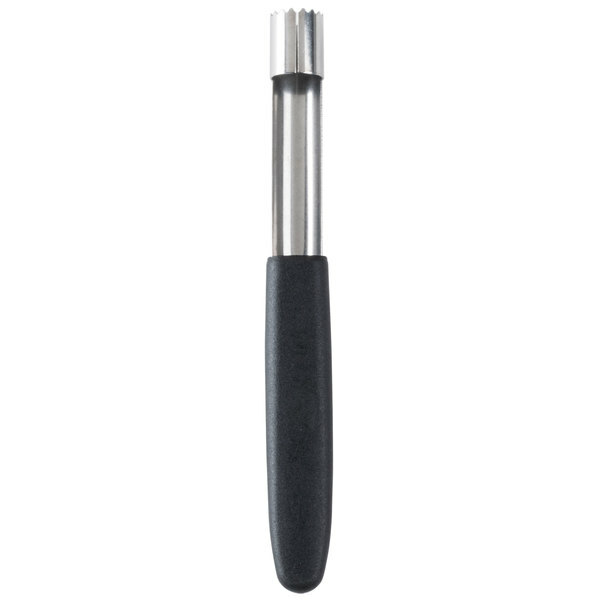 With its high-carbon stainless steel blade and black nylon handle, this corer is built to withstand years of rigorous use! "Good apple corer from victorinox that slices right through the core and makes preparing whole apples a breeze. Must have tool for any garnishing set." 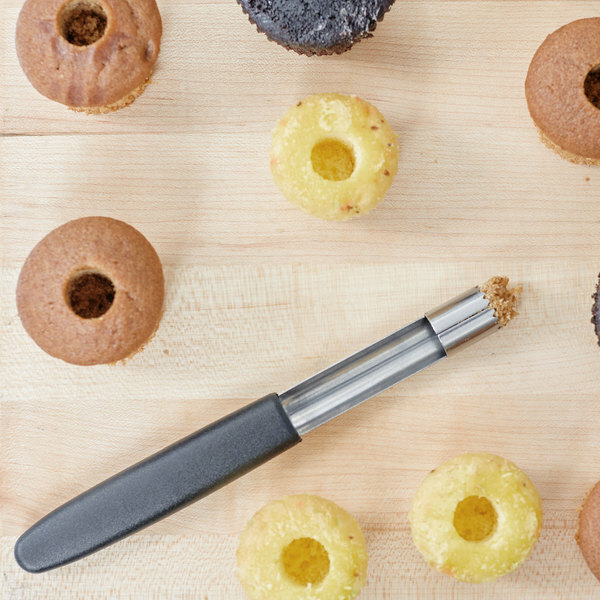 Thanks to the sharp, 3" long high-carbon stainless steel blade, this corer effortlessly slices through fruit and cupcakes. Plus, this high-quality blade resists discoloration and corrosion to ensure years of reliable use. 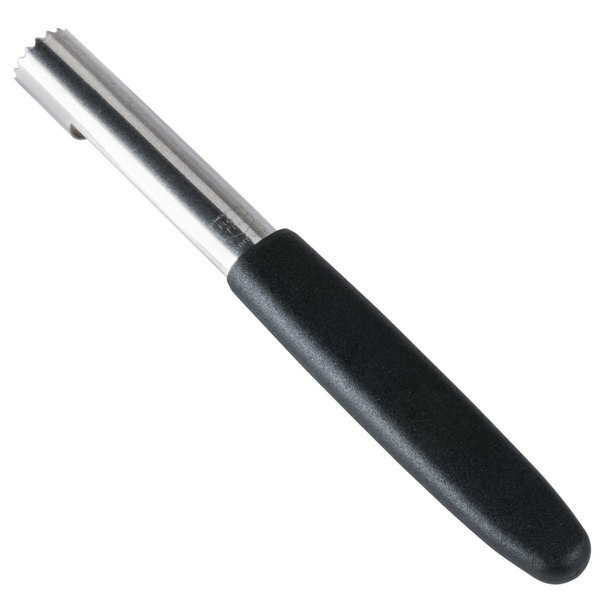 An ergonomic black nylon handle ensures maximum comfort for processing even the largest batches. 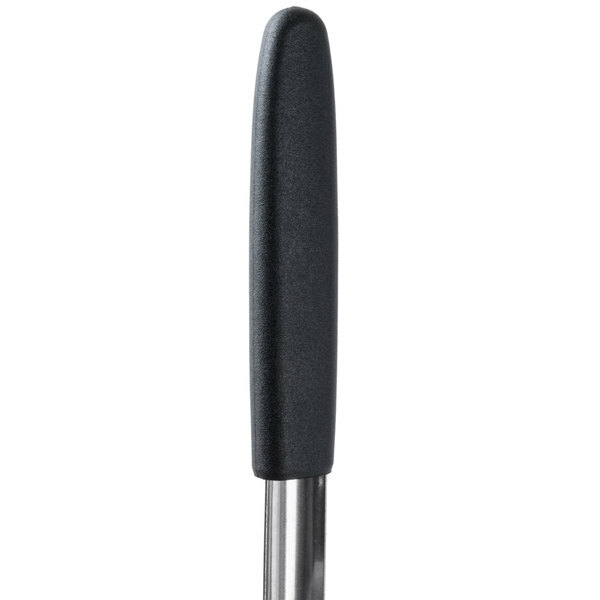 This handle also provides a non-slip grip for added safety during use. To use, place an apple with the stem-side up on cutting surface. Push the apple corer into the center of the apple over the stem, push down firmly, and twist the corer to dislodge the core. Awesome little tool. 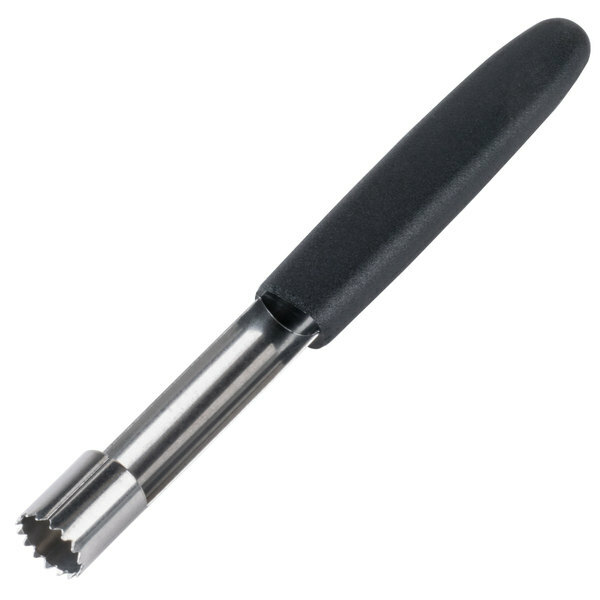 It works great at removing pits from smaller apples; I struggle with bigger apples but I mostly use it for fries for fish and chips. It cuts perfect size chips. Thank you for the review, Ben. This apple corer is ideal for smaller apples. 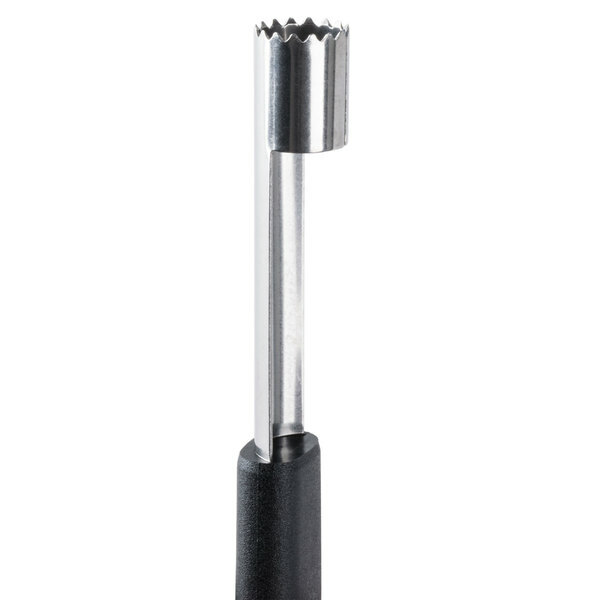 For an alternative that might better meet your needs, try this 4 1/4" Apple Corer / Cupcake Corer instead! This tool is a very welcome addition to my kitchen. I love it when making an apple desert, but also for just enjoying an occasional apple. It's so nice to be able to remove the seeds and core and just bite into your apple without a worry. I think this is a good tool. Great also for using jalapeños. Then you can stuff them! I would recommend this product. Good quality, good price. The handle is a nice size. This corer be used as a apple corer and a cupcake corer. I often use it as a cupcake corer. I core out the cupcake and put sprinkles and jam in it. Does its job - with a caveat. I bought this to replace the badly mangled one in my mothers kitchen. It's reasonably sturdy, but you really don't have the margin of error with this that you would with a higher-end model. You must push straight down, without wiggling, and hold the apple firmly in place. A few shot across the counter before we figured it out! Good deal for low volume use, just use carefully. Does the job well. Every apple is different, so it will not always get the core perfectly, but I can't blame the too for that. Good apple corer from victorinox that slices right through the core and makes preparing whole apples a breeze. Must have tool for any garnishing set. Easily eliminates the core of an apple without a lot of awkward force. The core is then simply stored in the device and can be pulled out when finished. 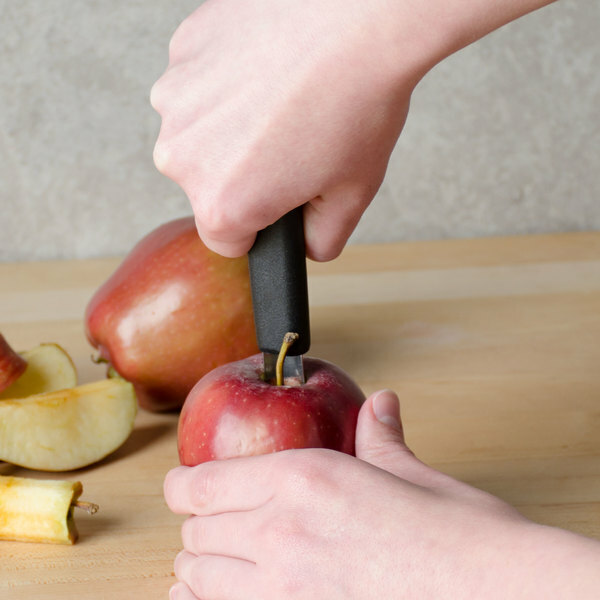 This is the perfect apple corer. I love how it fits into the hand and with one push the job is done. The only problem is it is kinda hard to get the core out. perfect for a light fob of coring apples. We only need it every so often and it really works for our needs. Its very sturdy handle and blade glide through any apple. we recently started doing lunches for a local daycare and with this apple corer the kids love the apple packs we send with there lunches. great value and shipped fast. I'm very happy with this corer. Like all things forschner, it is solid construction and gets the job done. Easy to use, easy to clean, makes a nice clean cut.